When one 36-year-old returned to Liverpool’s academy in January, the departure of another went largely unnoticed. But as the flashbulbs faded and Steven Gerrard started work with the Reds’ youth teams, Michael Beale headed the opposite way over the Atlantic, swapping a back office on Merseyside for the home dugout of São Paulo’s cavernous Morumbi stadium. It is the latest and most remarkable post in a quietly meteoric career. It began in the late 90s when Beale paid £32 to hire his hometown church hall in Bromley, pushing the chairs up against the wall and setting his prices at £4 a kid for futsal lessons. “Only three turned up at the start. It wasn’t the greatest business plan but it grew,” Beale tells The Set Pieces. It grew enough for him to be noticed by Chelsea, who hired him part-time in 2002 on their development scheme, working with six to nine-year-olds in his local area. After ten years rising through the Blues’ youth coaching ranks, he then moved to Liverpool, initially to manage their Under-16s. Trent Alexander-Arnold, Ben Woodburn and Harry Wilson were some of the up-and-comers he guided at Liverpool. Ruben Loftus-Cheek, Dominic Solanke, Tammy Abraham and Lewis Baker were among his boys at Chelsea. Two stellar generations at two different clubs. Beale could have stayed at Liverpool. Alternatively his CV would demand consideration at any other Premier League club. But instead he has traded his post as the Reds’ Under-23 boss to become São Paulo assistant manager. The invite came via Rogerio Ceni. The 44-year-old is an institution at São Paulo – a one-club man who won 18 trophies, including two Copa Libertadores, across 23 seasons. He gained wider fame as the connoisseur’s Chilavert, with 131 career goals from his goalkeeping post. Last year, while in England on a Football Association coaching course, Ceni toured several Premier League clubs and observed one of Beale’s sessions at Liverpool. “We spent two or three hours talking afterwards. He asked what my dream was, if I wanted to be a manager. I said I wasn’t sure – I love youth development – but I would love to work outside England one day and learn a language and a different culture,” explains Beale. “He remembered that and six or seven weeks later he called to say that he was getting a job and would I be interested in joining him. For Beale’s first few weeks in the city, he has also been without his family. His partner and two young sons have stayed on Merseyside, while he sorts out a house for them in one of the city’s smarter suburbs. Meanwhile, living in an apartment with the club’s new football supervisor, Frenchman Charles Hembert, Beale has been battling his way around Sao Paulo’s unfamiliar supermarkets and clogged roads, and getting used to Brazilian training ground culture. In some ways it is the embodiment of the environment that Jurgen Klopp has been trying to cultivate at Liverpool. 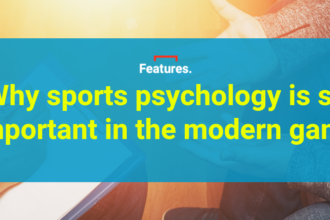 Back on Merseyside, the German has introduced ‘brain training‘ to unplug young players from mobile screens and reconnect them with their team-mates. Academy teenagers’ wages are now capped – albeit at £40,000 – to keep them hungry. Both come as a cultural standard in Sao Paulo. “The young players here can’t earn so much money that they think they are kings. There is less of that culture in Brazil,” adds Beale. “A lot of the South American lads are very clear on what they want to achieve in life, be it playing in the Premier League or La Liga. They are very driven and dedicated. “The kids in English academies have to make sure they want to get out of the academy and into the first team for the achievement, not the accessories. The houses and the cars – that comes with success, but shouldn’t drive it. “People here are very laid back, they are very happy together. At meals in England they all have their phones out, in Brazil they’re not like that. They don’t rush their meals. They enjoy each other’s company. That more collaborative ethos and Beale’s personal philosophy has placed a high premium on improving his Portuguese. He also knows how tough the knocks can be as a young player, having seen his own playing career peter out following spells with Charlton and Dutch side FC Twente. “I pride myself on the one to one relationship. You have to understand the players – what makes them tick, makes them smile and want to play – before asking them to understand you. So far, despite the language barrier, it has gone well. 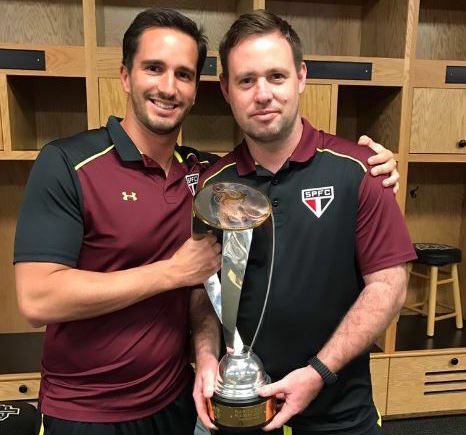 Beale has already won his first piece of silverware, albeit the friendly Florida Cup, with Sao Paulo beating city rivals Corinthians in a feisty final featuring two red cards. But if the fierce local rivalry, traffic jams and exotic wildlife around São Paulo’s training ground have confirmed some of the city’s stereotypes, others have been confounded. In Beale’s estimation Sao Paulo’s academy facilities are better than Liverpool’s and would be “maybe in the top ten in Europe”. Neither is it a given that, raised on some cliched cocktail of sun, samba and social inequality, Brazil’s brightest are better than their English counterparts. “The technical side matches up well. There are differences to how the game is played. In England they want fast, energetic, committed, whereas here it is a little slower, tactical and about initiative and invention,” Beale continues. The long-term ambition for Beale is to follow a career trajectory similar to former Chelsea colleague Paul Clement, proving himself abroad before eventually returning to England as a top-flight manager and then perhaps reverting to youth development at the end of his career. Short-term he is taking nothing for granted. Ceni’s hero status with the fans has eased his hiring of a cosmopolitan back team including Beale and Hembert. The manager credited the pair’s experience and background with helping to persuade 20-year-old attacker Luiz Araujo that a £5.6m offer from Lille was the wrong one to take him to Europe. But should results turn, Beale knows a foreigner in his first senior-team job may be the first ballast overboard. “The closer you get to the first team in football, the closer you get to the sack,” he says. “I spent 10 years at Chelsea and five at Liverpool – two fantastic clubs. Hopefully this lasts as long, but who knows? Football is very fickle. From a dusty church hall in Kent to the white heat of Brazilian top-flight football, it has already been quite a ride. Previous articleCan Arsenal midfielder Granit Xhaka learn from discipline problems of the past?